Whitehern’s historic mansion, garden and stable is one of Hamilton’s hidden treasures. It is nestled within a walled terraced garden behind city hall and provides an intimate setting for family and friends to celebrate the marriage ritual. 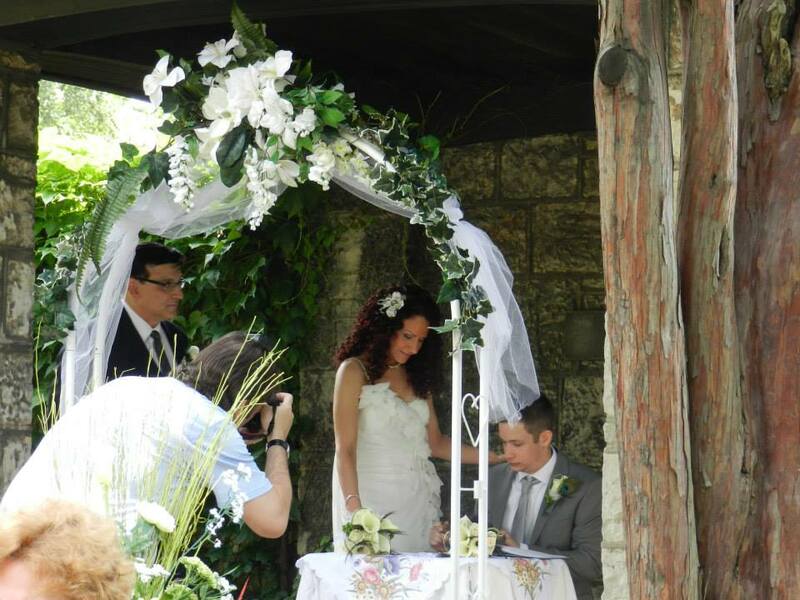 Whitehern’s splendid gardens give couples a romantic stage for exchanging their solemn vows. The restored coach house provides a window back to the era of horse and carriage. Your wedding will become part of the storied memories and remembrances that has become Whitehern. This national historic site was the former home of three generations of the McQuesten Family (1852-1968) of Hamilton, Ontario. It is an outstanding example of an urban estate originally owned by a wealthy industrialist. The house today has a multi-layered character that reflects the alterations made by three generations of the McQuestens over the years as well as the family’s shared interest in literature, history and gardening. It contains elements from many time periods – Georgian, Victorian and Edwardian – all overlaid with family possessions dating up to 1939 when the Honourable Thomas B. McQuesten was Minister of Highways.